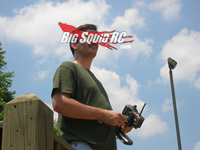 ASK Cubby, Version- Here Comes The Answers « Big Squid RC – RC Car and Truck News, Reviews, Videos, and More! Hello Cubby. A few months ago I started a Youtube channel dedicated to making rc videos. Do you have any tips for me? What kind of videos do you like and what kind do you hate? Yup, pretty much every single person on the planet is doing the YouTube thing right now. They think because they have seen some videos that they enjoy, that they can grab their cell phone, go out in their backyard, and makes tons of money. The web is littered with horrible videos. Horribly shot, horrible content, just plain unwatchable. 1. Too long… I see wayyyy too many 20 minute long unboxing videos. Unless you are the only person on the planet unboxing the latest iPhone, you are going to bore people to death. Keep your videos short and to the point. If you are driving through a mud hole, maybe show it a couple times from different angles, do NOT drive through it 20 times the exact same way and expect to entertain people. If your vid is going past 3 minutes, you better have something truly Earth shattering to show me. 2. Boring content… so you go out in your backyard and hit a wood ramp. I have seen (and done) that a MILLION times before. Why in the world would I want to watch that? Why not put the ramp on your roof and jump over to your neighbors roof? I have never seen that before, I would actually watch that. Come up with some original content. If 60 people have already unboxed the Vaterra Ascender, what is your unboxing going to bring to the plate that I haven’t already seen? 3. Poor quality… you still shooting in 480? Is the wind noise so bad I can’t hear a word you are saying? Do you have some really bad music blaring in the background? There are a zillion poor quality videos on YouTube that nobody watches. If you want to rise above the masses, simply putting out a quality product will put you wayyy ahead of the pack. Use a decent camera, don’t post shaky video, make sure the audio/music is pleasing to a large number of people. In closing… if you plan on making any money on YouTube, you are going to have to beat some pretty heavy hitters. You’ll need to put out higher quality videos than them, with better content. Sure, posting up a video so your Uncle in Iowa can watch you drive your rc car can be neat, but if you plan on taking over the world, you are going to need to get serious about it. Sitting on your sofa going over all the features that are listed on the side of the box of a 6 month old product isn’t gonna cut it anymore. What kind of shock oil do you use and recommend? What kind would you put in a 2 wheel drive Stampede VXL? Cubby- Yo hey now Marky Mark, thanks for taking the time to shoot me an email. Heck, I even read yours, you have no idea how lucky you are, so shoot me your snail mail for a sticker pack. Ok, I am an old school rc’er, so I nearly always use Team Associated shock oil. In fact, that is “roughly/kinda/sorta” the standard for shock oil among the old school crowd. For example, if you are at the track and someone randomly says “Hey, put 40 weight in your rear shocks!”, 90% of the time that means Associated 40 weight. Long term hobbyists like to use the Associated oil because it has stayed fairly consistent over the years and it is stocked by pretty much every hobby shop on the planet. As far as what oil I would recommend in a Traxxas Stampede VXL, I can’t give you a very good first hand recommendation on that one. I haven’t driven a Stampede much in the last 5 years, so I have forgotten what felt good and what felt bad. However… I am not going to leave you hanging, so here is my advice. Shock oil is cheap, so hit your LHS and pick up a bottle of Associated 30, 40, and 50. I would start by putting 40 in both the front and rear shocks. Drive your Pede and see what ya think. If you one end of your truck seems underdamped (seems too bouncy), drain out the 40 and put in the 50. If one (or both) ends seems overdamped (not compliant enough) dump out the 40 and put in 30. The key here is to experiment. Shock oil is cheap and you and your driving style are different than everyone else on the planet. Sure, you can read on some forum that Jimmy Joe Blow likes 80 weight in his Pede shocks, but that is him and his truck, not you and yours. One last note while I have ya here… don’t go too heavy on shock oil. Sure, you might be doing a lot of roof jumping, but most shocks on the market develop too much compress damping when used with 60 or greater shock oil. Some people think that putting in 100 weight oil is the cure for landing big jumps, but in reality, it often makes them hard as a rock on big hits, instead of allowing them to absorb the blow.